Pork belly sandwich @ Earl Canteen | 15,000kms of Food! I just wanted to share this photo with you all… if I could eat this picture, I would. 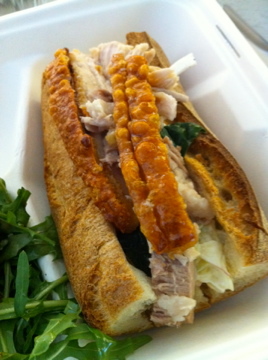 Succulent pork belly with crispy salty skin stuffed into a baguette with an apple and fennel salad. Yum! 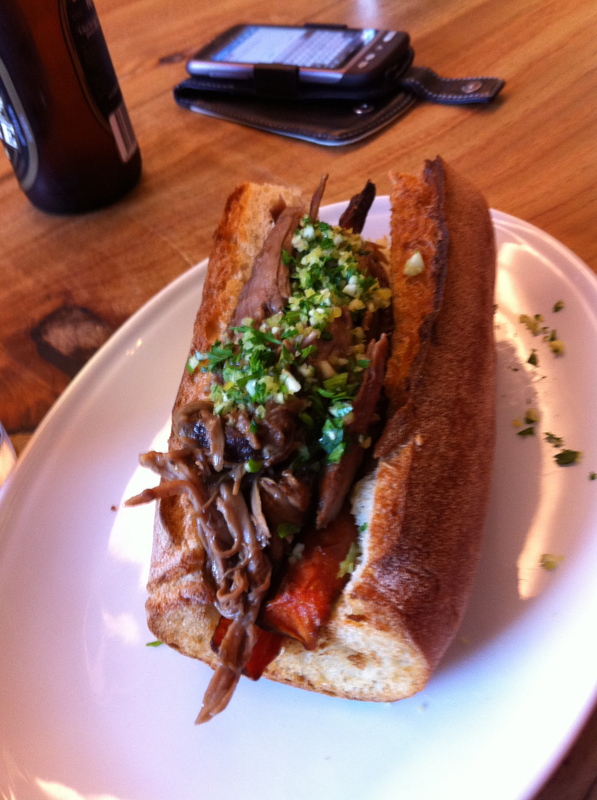 12 hour slow cooked lamb with carrots in a baguette. Was delicious! 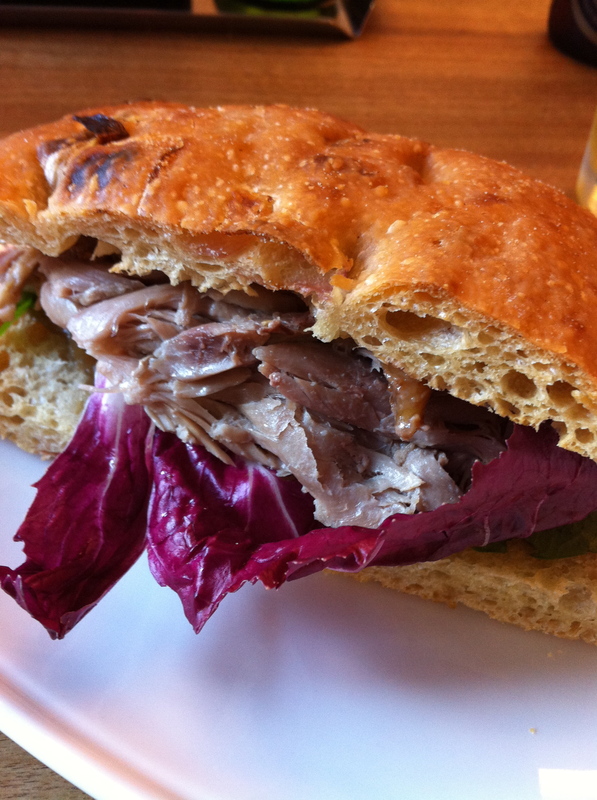 Confit duck in a ciabatta. Not as awesome as the two sandwiches on top, but tasty enough. Previous PostOla Mamasita!Next PostSweets for my sweet!